How do you see Sun City Center? Answer that question with a photo and your wallet will thank you. Starting next month, the Sun City Center Community Association is inviting locals to submit their photographic impressions of the area, with the first-prize winner sinking a C-note. The contest is open only to residents of Sun City Center. While a boon to amateur shutterbugs throughout the community, the contest also could provide photos to update the SCC website with current color photos of “Sun City Center through residents’ eyes,” Blom said. Each month the best entry will win a $100 prize. “Even if you don’t win the monthly $100 prize, if your photo is chosen for use on the SCC website, you will be awarded a $25 prize,” organizers said. Winners will be notified by email. To be eligible for any category, a photograph must have been taken in Sun City Center by the entrant after Jan. 1, 2014. There will be an end-of-contest prize of $200 for best of the monthly winners. “The Most Amazing Photo” will be voted on by SCCCA members and SCC Photo Club members. Ed Feder, a director on the CA board who has been working on updating the SCC website, said the new website is slated to be up and running early next year. The contest will run for seven months beginning in June with a search for “SunCityscapes,” a wide-ranging theme for any photo capturing life in Sun City Center. Entries must be emailed no later than 6 p.m. on the 7th of the month following the competition month, with winners announced on the first of the following month. Each month there will be a different theme, which will be announced in The News of Sun City Center. The objective for the photos is to express the active lifestyle at Sun City Center. Judges will include members of the SCC Community Association, or CA, Board; the SCC Photo Club; and the SCC website designer, with photos judged on creativity, quality, originality, agreement with the monthly theme and overall impact. • Submissions must be made via email. • Each entrant is limited to a maximum of five submissions per month. • Each email submission may contain only one photo entry. • The photo being entered must be in JPEG format and must be ATTACHED to the email (not embedded in the email). • The subject of the email must be the theme of that month’s contest (e.g., SunCityscapes for June). The TITLE of the photo (You can create your own unique title for each submission). • The email must be sent to photos4scc@gmail.com. • Entries must be emailed no later than 6 p.m. on the 7th of the month following the competition month, and the winners will be announced on the first of the following month, i.e., the June photos are due by 6 p.m. on July 7 and the winners will be announced on Aug. 1. • Submissions will be acknowledged by email. If you do not receive an acknowledgment then your entry was not received. 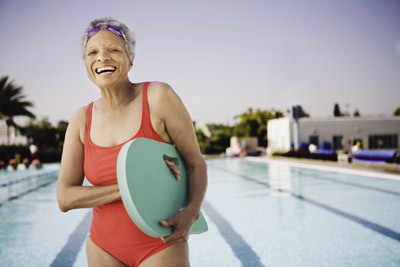 • By entering the contest, photographers and participants grant the Sun City Center Community Association a royalty-free, non-exclusive license to use photos and likenesses for promotional purposes (specifically for the Sun City Center website and for Sun City Center brochures). 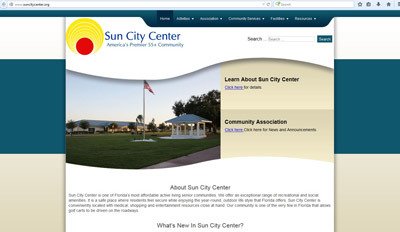 The Sun City Center Community Association will not be required to pay any additional consideration or seek any additional approval in connection with such uses. • For a photo in which a person is recognizable, you must secure a model release from the subject or, in the case of a minor, the subject’s parent or guardian and provide it to the Sun City Center Community Association upon request. A sample release is available on the CA’s website: www.suncitycenter.org. Prizes will not be awarded if a requested model release is not submitted within 30 days of its request by the contest organizers.